File photo via the 2012 UMass game. Bad news via UM media relations. ANN ARBOR, Mich. -- Michigan Football head coach Brady Hoke announced today (Wednesday, Aug. 21) that sophomore wide receiver Amara Darboh (West Des Moines, Iowa/Dowling Catholic) will miss the 2013 season with a foot injury that will require surgery. "I love Amara, and just hate it for him, how hard he worked through the offseason and fall camp to earn a starting role," said Hoke. "We'll rally around him like a family does and help him get through this difficult time." Definitely a shame for a young man who was surely going to see plenty of playing time this year. Given the state of the receiving corps as they stand right now, this is a mild-to-large blow. Although, Darboh was not an established contributor who's output will be missed. No official word on the nature of the foot injury, yet. He'll be a redshirt sophomore next year. 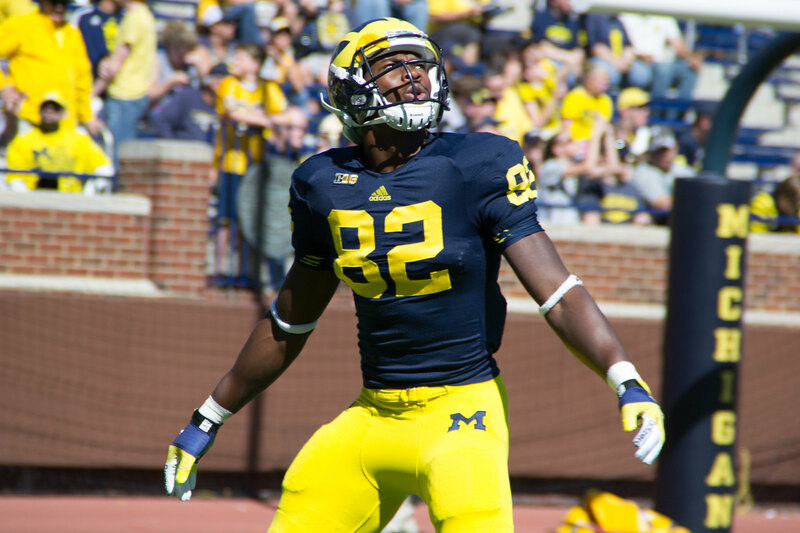 The heat is definitely turned up on guys like Jehu Chesson, Joe Reynolds and Jeremy Jackson to step up.